Showcase duet of the traditional French-Canadian folk tune J’entends le Moulin arranged by Heather Nanney for two late beginners. 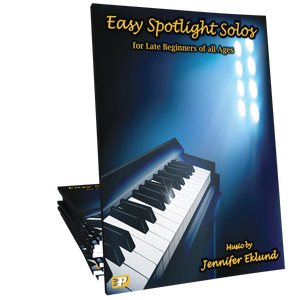 This fast and flashy duet will make for an exciting recital piece for students of all ages. 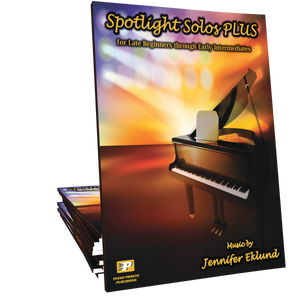 Purchase includes MIDI and Mp3 backing tracks! Super fun duet that will get in your head and have you humming it all day long. I have a student who loves to get new music - she exclaimed "I LOVE this duet!" She's motivated to be able play this at a faster tempo (and she doesn't know it yet, but I'm going to have her learn the Secondo part too!). 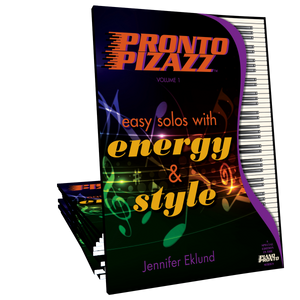 I'm planning to teach a lot more duets in the up-coming year, and this one should be loads of fun. I love having evenly leveled duets for siblings, and the 2 pairs of lively twins who study with me will enjoy some equally lively music! Another great piece by Heather. I'm hoping my students will learn both parts of this duet and the midi backing will be great to help with this. My students and I love this duet! We've been playing it all week. Something new and different!